Any day I get to write about both wrestling and video games is a good day. Ladies and gentlemen, today is a good day. During the women’s Royal Rumble match, Zelina Vega continues to show her geek cred by entering the ring as Street Fighter‘s Vega. Coming in at the somewhat advantageous 20 spot, Zelina Vega came in with a purple and yellow outfit, the same colors Vega has been known to wear since the character’s debut in Street Fighter 2. 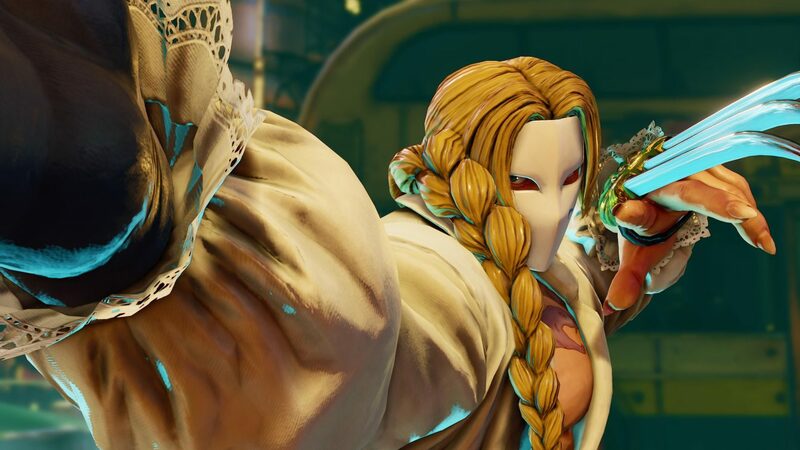 She also came out sporting Vega’s iconic mask and claw. Thank you Pro Wrestling Sheets for capturing the moment. Unfortunately, her time in the ring was cut short by former NXT UK women’s champion Rhea Ripley. It was a bit of an odd elimination since it involved Vega running away from Hornswoggle. It wasn’t the most honorable way to exit the match considering she spent most of her time under the ring but Ripley is one of the toughest in the business so it was to be expected. For the uninitiated, the Royal Rumble is one of WWE’s biggest pay-per-views of the year. It is also named after the match of the same name. The match begins with two opponents, both of which are trying to eliminate each other by throwing them over the top rope. Every two minutes, a new opponent enters the ring. With a total of 30 participants, the last wrestler standing does not only win the match but also gets a championship match at Wrestlemania. 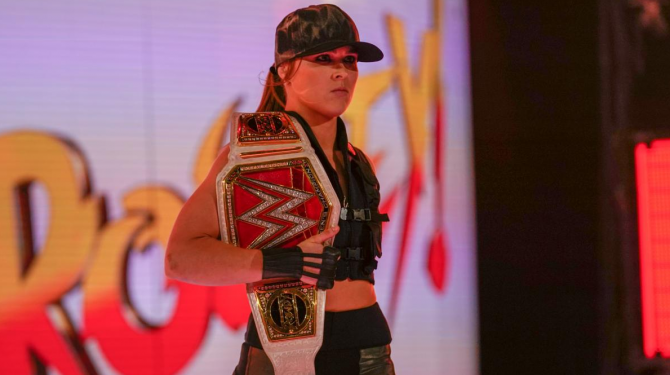 This year’s women’s Royal Rumble match was the second in the company’s history with Becky Lynch unexpectedly — or expectedly depending on how much wrestling you watch in a given week — winning the match by eliminating Charlotte Flair. Lynch now has the opportunity to fight either SmackDown Women’s Champion Asuka or Raw Women’s Champion and voice of Sonya Blade Ronda Rousey. I think it can go either way. Either Lynch goes for the revenge angle and fights Asuka to claim the SmackDown title again or she main events Wrestlemania by fighting Ronda Rousey for her title. Personally, I think it’s the latter. This is not the first time Zelina Vega showed her love for video games. 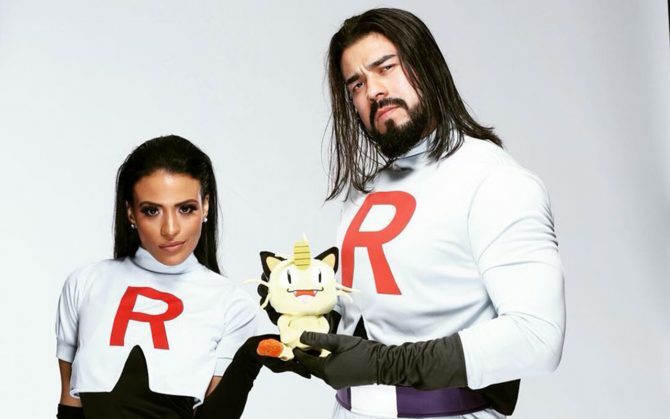 Recently, she dressed up as members of Team Rocket with Andrade “Cien” Almas. 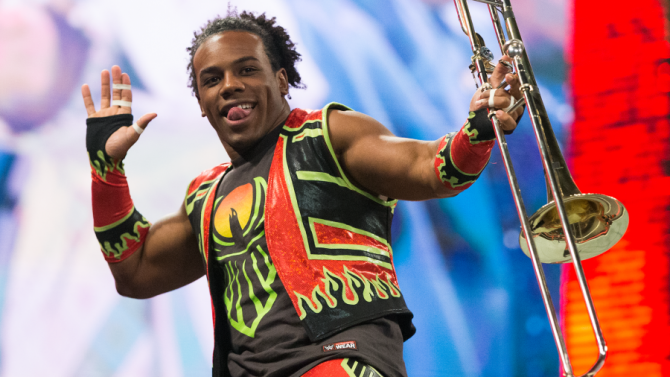 She also dressed as Jade at the Mortal Kombat 11 reveal event alongside Xavier Woods and Kofi Kingston who dressed as Shao Kahn and Shang Tsung respectively. Los Ingobernables de Team Rocket!